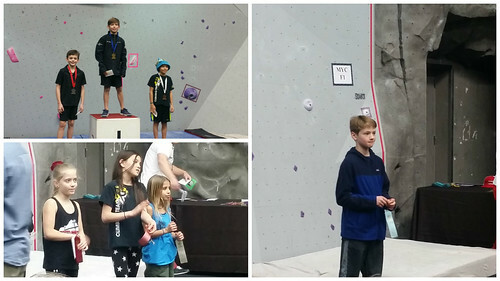 Regionals photos of PG Portland Team: Caden Reedy (left) who placed 3rd in his category. Nathan Teays (left) working hard on Problem #4. 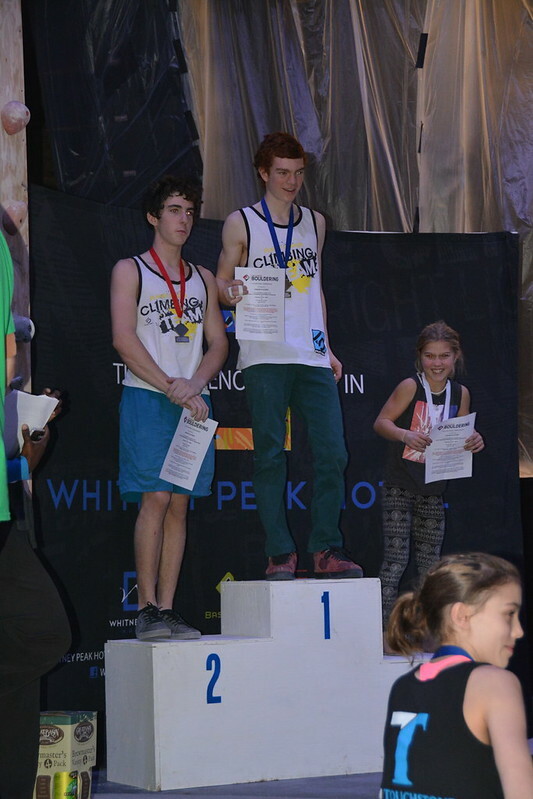 Each year, young climbers put their skills to the test in USA Climbing competitions, pushing their limits to go from regionals, to divisionals, to the nationals, where the very best climbers are recognized for their work. 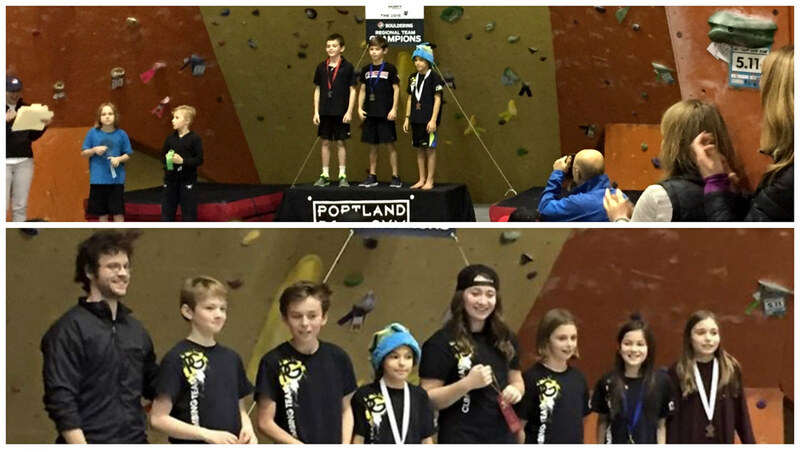 Planet Granite is proud to say that between Portland and the Bay Area,16 climbers from our youth Team are qualified for the national competition this year in Madison, Wisconsin on Feb. 5-7! Among them are Portland Team’s Caden Reedy, who took third place in the Male Youth D category at divisionals last weekend. He’s pictured above—you can see he feels a little bit happy about his performance! Also representing Portland at Nationals: Serena Ketcham, who came in sixth for the Female Youth C category. For the rest of the Portland team’s divisionals results, see the bottom of this post. 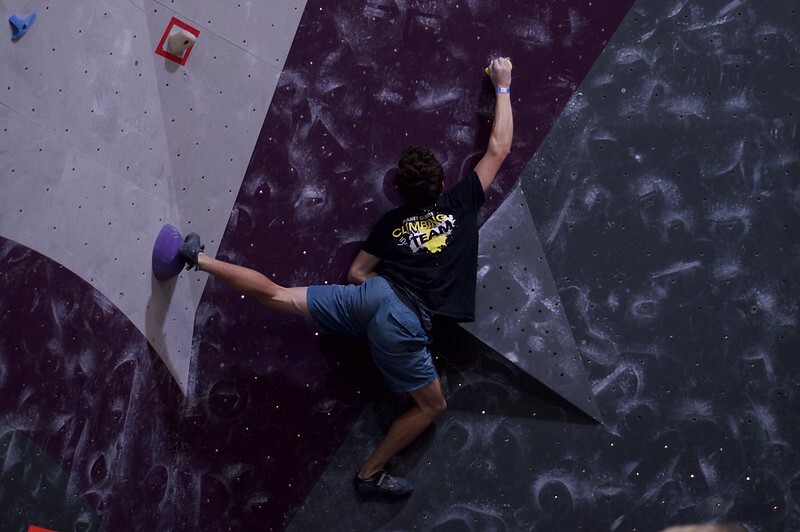 Attention Portlanders: Team is full of up-and-coming youth climbers, and we’re on the lookout for even more: Portland Intermediate Team Tryouts will take place February 12th, from 4:30-7pm. A parent-coach meeting will kick things off at 4:30. 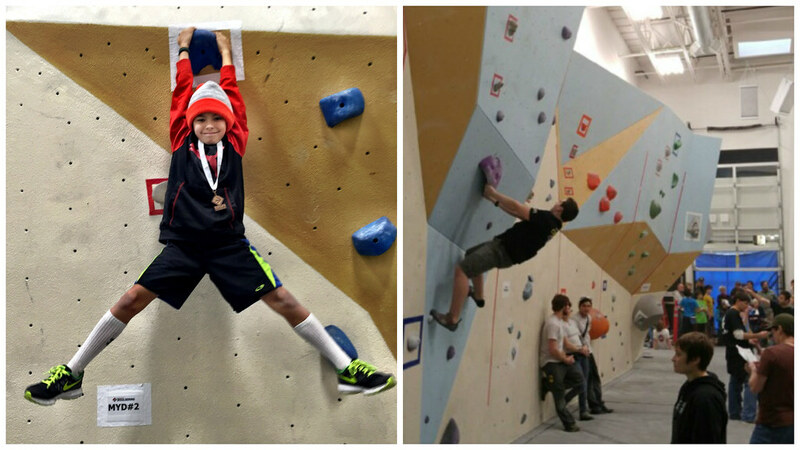 If you have more questions, contact Head Coach Brian Adams at coachpdx@planetgranite.com. Bay Area’s Team had an incredibly strong performance at Divisionals in Reno last weekend, and collectively won the meet, for the second time in three years, according to head coach Isaac Williams. Fourteen members individually qualified for Nationals! That honor roll can be found just under the gallery below. Ross’s goal—and that of many team members—win nationals and get into the top 4 in the nation, who will go this summer to compete in youth worlds in China. GALLERY (click through left and right sides of images) Bay Area Team seen here in their Regionals competition this year. This album c/o of Matt Silverman Photography.